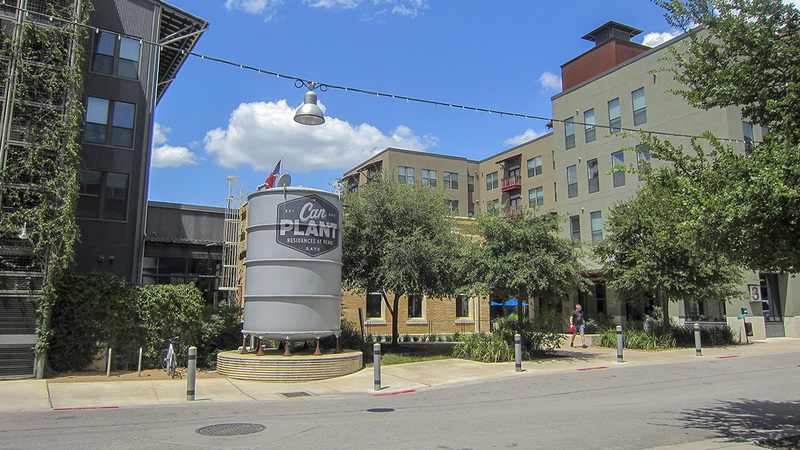 A synthesis of historic architecture and Postmodernist landscape design bounded by the San Antonio River, the McAllister Freeway, and Highway 35, the 26-acre Pearl District, designed by Lake | Flato Architects in 2011, transformed the once-abandoned brownfield site into a commercial, culinary, and residential destination. 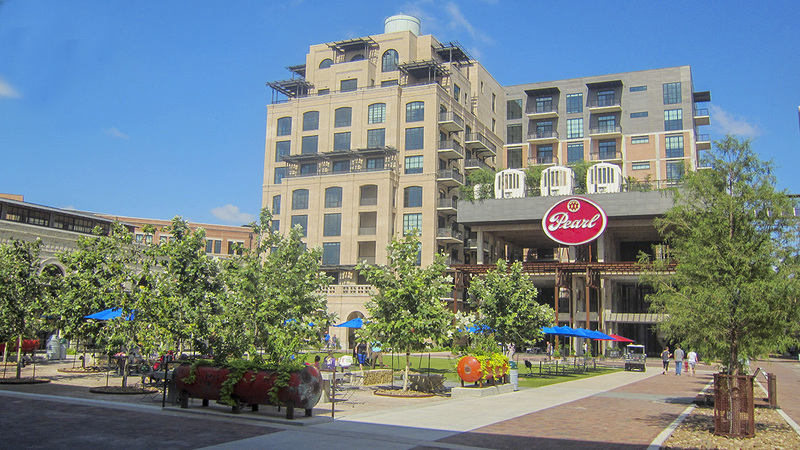 The site was historically the home of the Pearl Brewery, which began producing beer here in 1883. It was purchased by Pabst in 1985 and closed in 2001. In 2002 Silver Ventures acquired the complex. 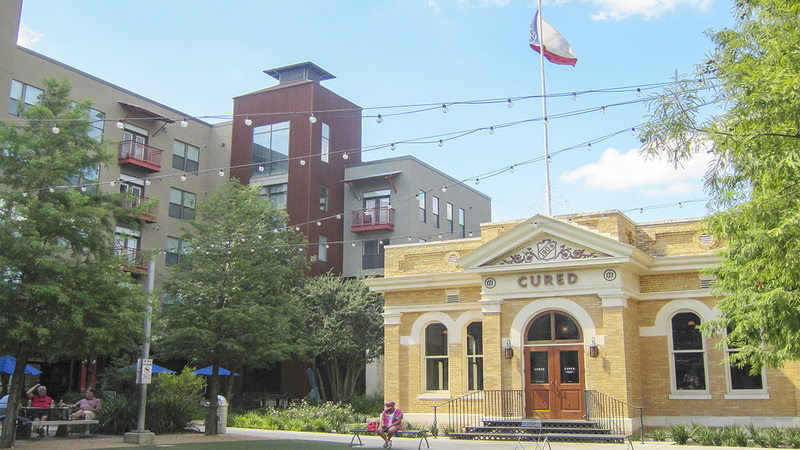 Today, the district comprises some 30 buildings, including apartments, shops, restaurants, the San Antonio campus of the Culinary Institute of America, and the Hotel Emma. With a focus on environmental sustainability and adaptive re-use, the district is filled with repurposed artifacts found on-site. 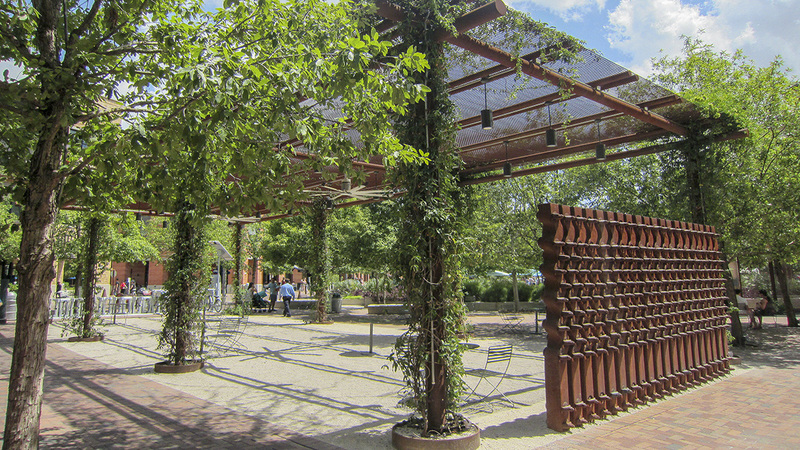 The gravel-floored main plaza and the Cellars designed in 2017 by Christine Ten Eyck in front of the brewery feature a mesh-roofed arbor and sitting area constructed with salvaged steel and defined by a grid of trees and linear concrete planters. 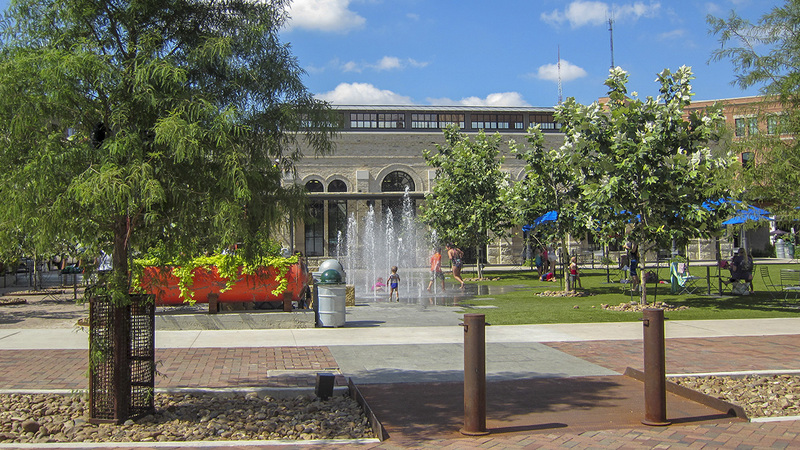 Cone-shaped machine supports serve as bollards along the pedestrian thoroughfares, which are complemented by shaded pavilions, green spaces, and water features, such as the recreated Bottling House’s country porch and water pods. 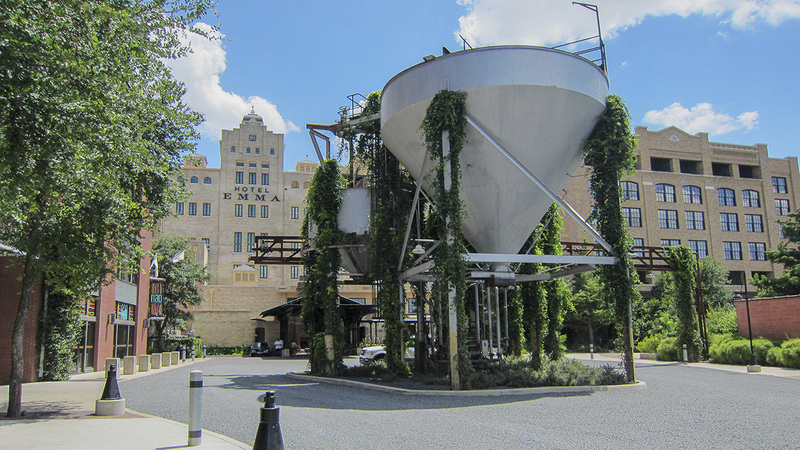 Beer vats have also been transformed into rainwater cisterns, and ivy-covered tanks and hoppers serve as portals to the past. A variety of plantings, including agave, purple queens, elms, live oaks, sycamores, mountain laurels, and persimmons, is interspersed throughout the landscape. 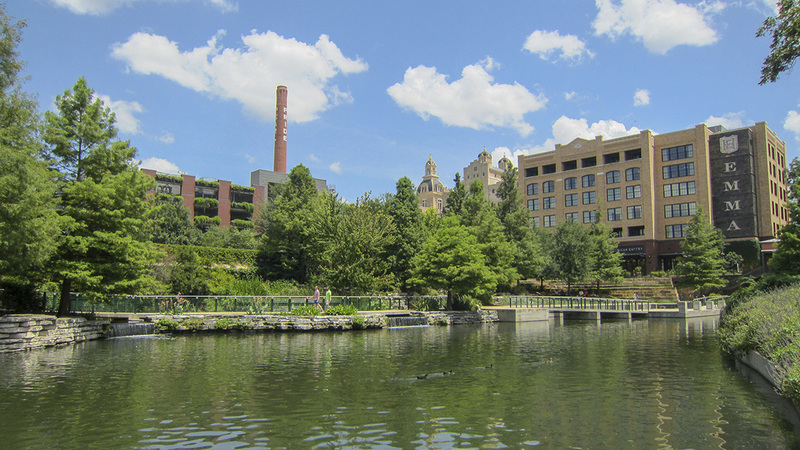 The district anchors the River North Plan, serving as the terminus to the San Antonio River Walk Extension. The backdrop of the Pearl Amphitheater Stage is a water body composed of restored wetlands and animated with waterfalls occupying land donated to the city by the developer.